Is BOTOX® worth the cost? Cosmetic surgery; a good anti-aging solution? Struggling with the signs of aging is problem that everyone has to confront at some point in their life. For many, surgical options are the first step they consider. In many situations, cosmetic surgery can be an effective anti-aging solution. However, there are also several drawbacks to cosmetic surgery to consider as well. There are many different surgical options available for the different signs of aging. Before signing cosmetic surgery, however, careful evaluation of the pros and cons of surgical intervention as an anti-aging solution is necessary to make sure that the best possible option for anti-aging treatments is one chosen. There are several upsides to choosing cosmetic surgery as an anti-aging solution. First of all, the results, aside from healing time, are nearly immediate. There is no waiting for various other solutions to reach their full effectiveness, as cosmetic surgery addresses the problem all at once. Another pro of cosmetic surgery as an anti-aging solution is the fact that amazing results are often possible. The wide variety of cosmetic surgery solutions available for anti-aging means that the appropriate procedure for each person can be chosen to assure the best possible results. When cosmetic surgery is done correctly, it can be difficult to know anything has been done at all. Unfortunately, there are also a lot of drawbacks to cosmetic surgery as an anti-aging solution. The first to consider is the prohibitive cost. Cosmetic surgery is rarely covered by insurance, as anti-aging surgeries are considered to be elective. Secondly, surgery is painful and recovery time includes swelling, bruising and a long period of waiting before the results of the cosmetic surgery are seen. Aside from pain, no surgery is without serious risks and possible consequences. Any procedure involving anesthesia is a calculated risk that needs to be very seriously considered before agreeing to cosmetic surgery as an anti-aging treatment. One of the most major concerns about cosmetic surgery, however, is the possible unpredictability of the results. There are horror stories available all over about botched cosmetic surgery resulting in pain, scarring and even malformed faces. These issues often require additional expensive cosmetic surgery to repair or, at times, cannot be repaired at all. When it comes to anti-aging, instantaneous results can be suspect. The best way to get lasting results from an anti-aging treatment is to use an anti-aging cream. The best anti-aging creams contain quality and proven ingredients that, when used regularly, provide steady and visible improvement in skin quality and a decrease in the appearance of fine lines and wrinkles. Anti-aging creams often contain Acetyl hexapeptide-3, an ingredient that is gaining in popularity for its effective treatment of wrinkles and other visible signs of aging. Before settling on cosmetic surgery as an anti-aging solution, be sure to read the reviews available here to assess all of your options. While cosmetic surgery may be the best solution for some people, it is likely that an anti-aging cream containing Acetyl hexapeptide-3 will meet all of your needs. 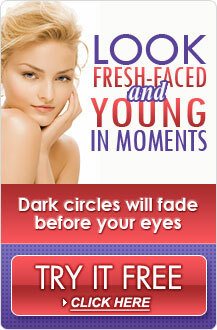 There are many anti aging skin care products that could help you avoid cosmetic surgery. See our comparison chart for product reviews.